A full carton of home grown eggs. Today marked Day 13 of egg laying for our girl, Abigail. She’s only missed one day, making her count 12 eggs in 13 days. A very hard working girl, our Abby. I was starting to feel very sorry for her, because she started laying eggs on the 8th and none of her sisters have shown any signs of even thinking about laying eggs. And man! Was she neurotic about it. Every morning I went down to clean the beds and give everyone fresh water and she’d be in there, squawking and waiting for me to leave so she could climb up into her box and lay her egg. Except for one day, she’s been laying around the same time every day… or so I estimate. The egg has been showing up sometime after 8:30 but before 10 am. That one day, she waited til 1 pm. Her egg for today, was at Noon. But again, it was just her. No one else. And again, I felt sorry for her. This is NOT Abby’s egg!!! This morning, this egg showed up. It was there when I went down to clean, and it was NOT in the same laying box where Abby usually lays her eggs. It’s also not the same color as Abby’s eggs. Hers are a darker brown. But since it was the only egg in the boxes, I assumed it was her and left. I did have my suspicions, though, because its NOT the same color, also it’s slightly bigger than Abby’s eggs. Those suspicions were proven correct about an hour ago, when I went down to the coop to find Abby in her box, laying her egg. So now I know… we have two hens earning their keep. Even if I don’t know who the second one is. 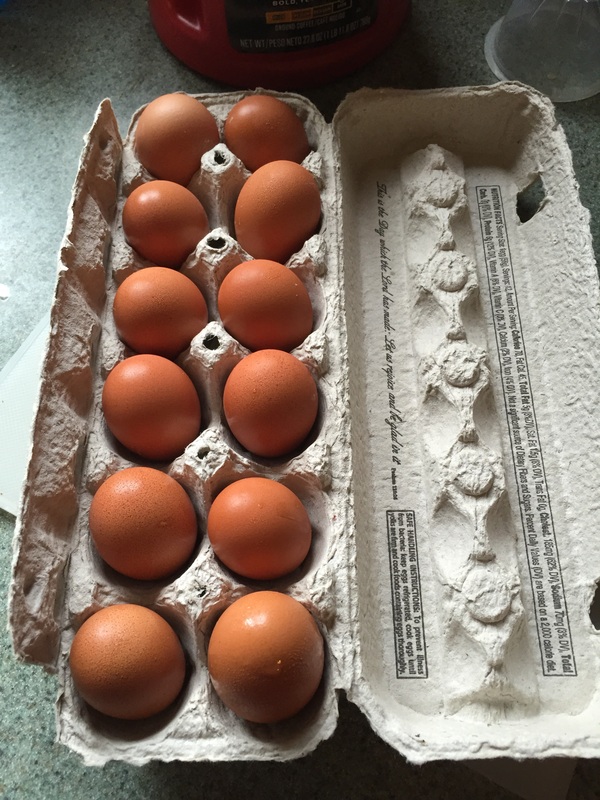 Below, I’ve posted a few comparison pics of Abby’s eggs (different days) versus a store-bought jumbo egg. The store egg is the paler brown egg on top in each pic. 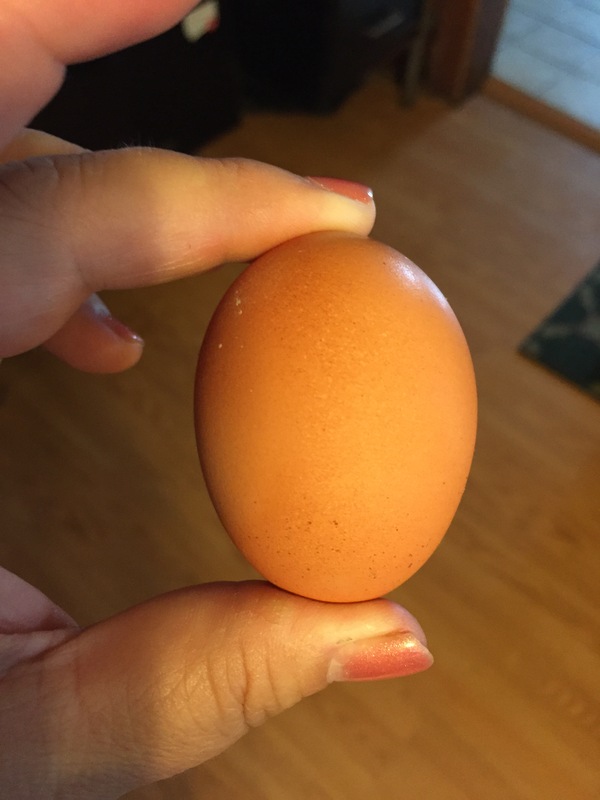 Oh, and you know I was commenting that Abby’s very first egg was obnoxiously large for a first-timer’s egg? 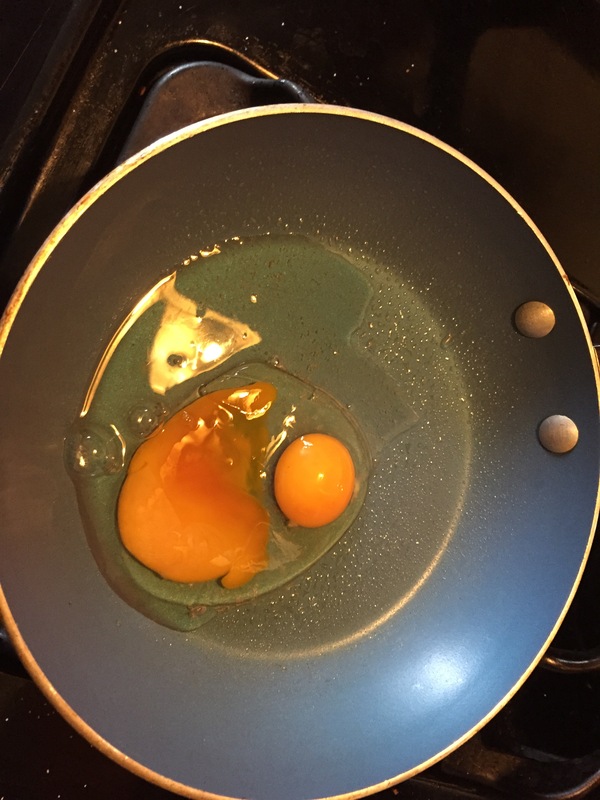 I was right… it was a double yolk! I cooked it up this morning for breakfast. 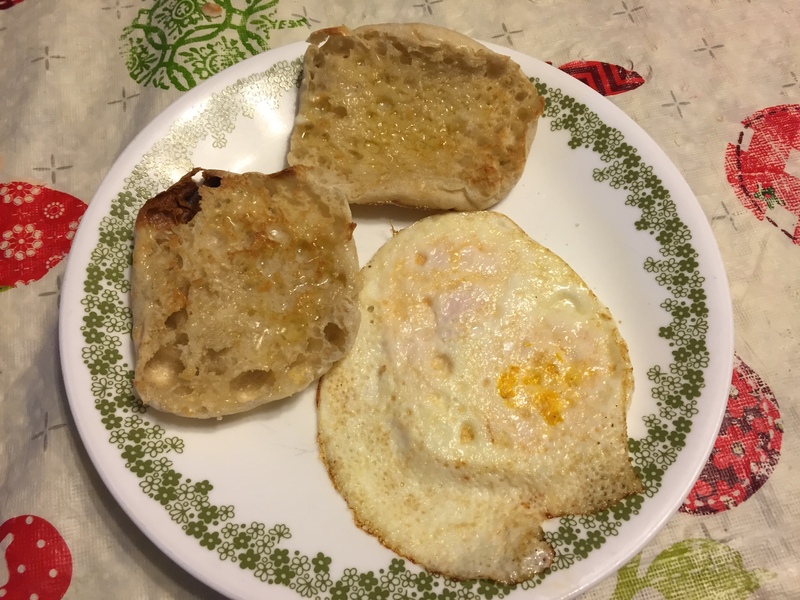 They taste sooooo much better than store eggs, even if they are tiny right now.